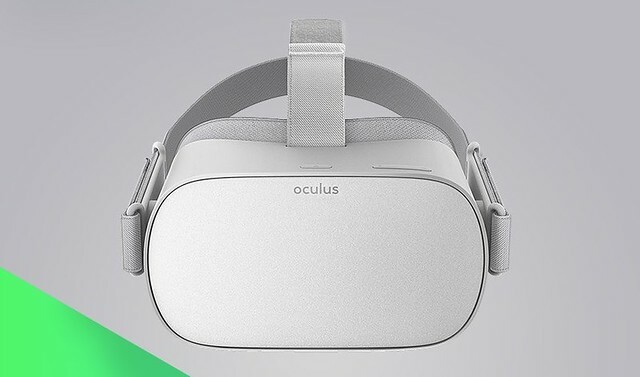 Today at the Oculus Connect event, Oculus VR (owned by Facebook) announced a new price drop for the Rift VR headset as well as another, cheaper way to get into VR. The Rift headset is now available for $399 (including the headset, two sensors and Touch controllers, and a handful of games), and if you're looking for a less-expensive VR option, the company also announced Oculus Go for $199. Oculus Go is a standalone VR headset that doesn't require a PC to run and which comes with a single palm controller that's different than the Touch controller. Well, it's a start. Hopefully this means we'll see a new headset with significantly better optics soon on the higher end. What I had was a great novelty but the DPI left way too much to be desired. Once the shine wears off that's it. I do hope whatever they do next is compatible with the current touch controllers, but I doubt it will be. Why give up such a lucrative accessory and/or give up a PR "victory" by including the new controller in the box, so they can point out they included it this time unlike their v1 launch. Don't forget about Windows Mixed Reality headsets releasing this month. I'm a fan of the Rift; I bought it earlier this year. The Touch controllers are awesome. My biggest complaints with VR, are lack of worthwhile software, resolution and the "screen-door effect". The Windows MR devices have a higher resolution, but I don't know what the pixel density is, so it may still suffer from the same horrible effect. I'll grab one once they hit ebay for £150/£200. Just another item that's priced higher than it actually should be... plus if they sell it then leaves the door open for the price to hit £550/600 with higher specs. The usual. Plus my eyes aren't what they used to be. Too many video games, without a doubt. I think the most interesting part of this announcement is the price drop for the Rift. 400 dollars for a full set of VR hardware is not bad (although I seem to remember that you need a third sensor to accomplish room-scale VR with the Rift). However, I have to say that, out of the three big VR products, the Rift was the one I had the worst (well, least impressive) experience with. It seemed to be prone to errors more often than the Vive, and the PSVR, despite its lower image quality, had the more interesting games and demos for me.